To welcome in the exciting new 2017-18 racing season, the Melbourne Racing Club (MRC) is pleased to announce an official partnership with iconic South Yarra venue The Emerson to host a series of MRC Young Member After Parties during the 2017 BMW Caulfield Cup Carnival and beyond. “The Melbourne Racing Club’s Young Members’ represent the future of our Club and we are passionate about growing our Young Members’ programme by providing more on-trend benefits and experiences. The popular three-storey rooftop bar, club and restaurant which is located only a few kilometres away from Caulfield Racecourse, will provide the perfect environment to recharge the batteries and continue BMW Caulfield Cup Carnival celebrations long in to the night this spring. 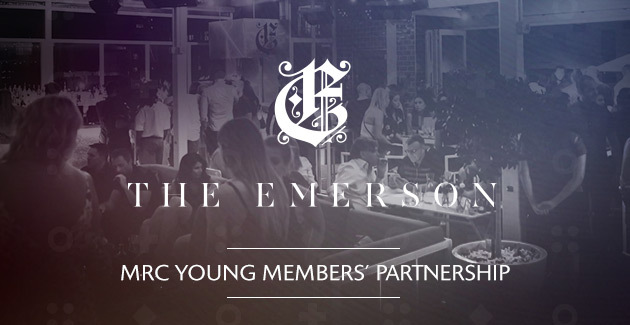 “The Emerson are delighted to be partnering with the Melbourne Racing Club’s Young Members. Their events have a proven track record and demonstrated a fresh and collaborative approach which we are proud to align with. “We look forward to welcoming all MRC Young Members and their guests at The Emerson throughout the 2017-18 racing season and we’ll be preparing for some serious fun with the Spring Racing Carnival only weeks away,” said The Emerson CEO, Mark Hinkley. Returning to its premium infield location this BMW Caulfield Cup Carnival, is the Stella Artois MRC Young Members precinct which provides members and their guests the ultimate race day experience. Members receive two complimentary beverages and a racebook, access to a private bar and facility offering premium food and beverages as well as DJ’s, entertainment and a big screen to watch the Group 1 racing action throughout the day. Stella Artois MRC Young Members After Party benefits include complimentary bus transfers (limited), priority entry to The Emerson, complimentary beverage and canapes on arrival. Previous Previous post: 2017 Caulfield Cup Carnival Young Member ticketing on sale now!